And, this is a hot topic (see post on FICO adherence score). You can see my prior posts on some different studies, on the Merck Estimator, and some notes from the NEHI event on this topic. It generated a good dialogue on Kevin MD’s blog when I talked about paying MD for adherence. There are definitely some correlations to the work we do at Silverlink Communications around adherence. We’re helping clients determine a communication strategy that might include call center agents, direct mail, automated calls, e-mail, SMS, mobile, or web solutions. We’re looking at segmentation and prioritization. We’re looking at past behavior and messaging. The goal is how to best spend resources to drive health outcomes from primary adherence to sustaining adherence. This is a challenge, and we all need to build upon the work that each other is doing to improve in this area. We have a huge problem globally with adherence. Are you stressed out? In today’s economy, many people are. Whether it’s being a caregiver, your job, or other concerns (like just paying the bills), have you ever thought about how much that costs you? Take advantage of the EAP (Employee Assistance Program) that your company might offer. Use the wellness programs that your employer might offer (since 74% of them do offer something). Go see a therapist and look into CBT (cognitive behavioral therapy). Take a break from e-mail (or your smartphone and constant Facebook updates). I’m always fascinated by segmentation, and I think understanding how market events like the Great Recession have changed the fundamentals of the game is important. In November 2011, Money Magazine shared some data from a survey they did. Here are some of the results. 53% of Americans aren’t sure their kids will better off then they are. 67% are worked their quality of life will suffer in retirement. 80% say they’re eating at home more. 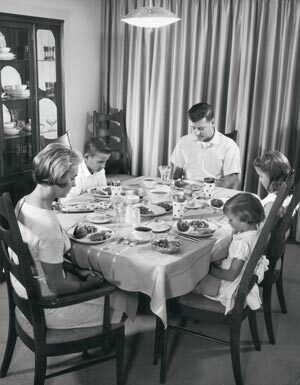 75% say time with family is more important than ever. 57% are building an emergency fund. 51% are pessimistic about the US economy in the next 12 months. 61% are pessimistic about government officials spurring growth. I don’t know about you, but I see a ton of nuggets in here about positioning generic drugs, preventative health, adherence, mail order, and many other cost savings actions in healthcare. I don’t know about you, but this seems a little surprising to me. We know that it’s hard to figure everything out in the 8-15 minutes we have with the physician so perhaps a deep focus on key claims and key procedures is a necessary process. But, I think many of us worry that our physician will think we don’t trust them. Check your coverage. You may be covered if you get a second opinion. If not, you might be able to appeal that decision. Find the right doctor. The article suggests getting multiple names and finding MDs that work at different hospitals (to avoid group think). Get your documents together. Make sure the physician has all the documentation before you go or bring it with you. Why Use Facial Recognition Software At The Pharmacy…Retention? I’m sure this is a little bit out there in terms of some of my ideas, but I like it. While a little Orwellian, I was talking with a retailer the other day about how to maximize the experience at the counter between the patient and the pharmacist. At a small independent pharmacy, the owner (pharmacist) probably knows a lot of this patients (customers) by name. On the other hand, this is a lot harder at the larger chains which are busier and with multiple pharmacists working different shifts. I was thinking about how technology could address this. What if you had a camera that was monitoring customers as they came in the store (which most probably have today in terms of security cameras)? Could that be augmented by adding facial recognition software (which I have no idea how expensive it is)? Then, the pharmacy could know that George was in the store and tap into a CRM system that could remind Nancy the pharmacist that I have a dog and a fear of needles (for example). When I got to the counter, Nancy could greet me by name and ask about my dog. It would certainly make me feel welcome and should create some stickiness (although maybe less if I knew it was technology enabled). I was reading this article in Fast Company about neuromarketing with a focus on the CEO of NeuroFocus. Companies like PepsiCo, Intel, CBS, ESPN, and eBay have used them and many others are trying work in this area. But, I’ve never heard of a healthcare company doing anything in this space. I’ve talked about this before in my article about the book Buyology. It’s fascinating, and the mobile tool that NeuroFocus has created could create new ways of capturing data. One interesting example he talked about was the expression of a person on a poster (for example). If the expression is too easy to decipher, we simply move on…BUT if it’s hard to decipher, it causes us to pause and think. Another example is that the brain loves curves not sharp edges. I thought this was a nice summary which Money shared based on CMS data. It shows you what percentage of cost for your prescriptions you pay based on total dollars spent on prescriptions during that calendar year. For the first $320, you pay 100% of the costs. For the next $2,610, you pay 25% of the costs. For the next $3,727 (the donut hole), you pay 50% of the costs for the brand drugs and 86% of the costs of the generic drugs. For everything above $6,658, you pay 5% of the costs. In an interesting study and other work, there appears to be a health halo effect which happens. We’re all familiar with Jared (from Subway) and his amazing weight loss journey. But, this leads us to perceive that the sandwich’s there are all low calorie…even though a lot of us order the 12″ sandwich. In one study, people eating at Subway had 56% more calories than people ordering at McDonalds. SCARY! You add that to the perception that many people have that a diet soda is better than a regular soda, and you have an interesting problem. Of course, the best problem is to pick healthier foods and understand their calories. Of course, even when restaurants began sharing how many calories were in their meals that simply got people to consume more calories not less. And, a USA Today article points out that the listed calories don’t always match the actual calories (and not in a good way). An article by this name appeared in the September 2011 PharmaVOICE magazine. I think it reinforced several things that are part of my evangelizing when I’m out on the road talking to healthcare companies. I pulled out a few comments and quotes that reinforce many of the things that I think about. As anyone who follows the pharmacy industry knows (and now millions of consumers), Walgreens and Express Scripts have had an ongoing contract dispute since mid-2011. Most of us expected this to get resolved by the end of the year to minimize patient disruption, but it didn’t. With that in mind, Walgreens has published several white papers to help articulate the results of their employer survey data and to help plans quantify the value of keeping Walgreens in the network. As this is a fascinating case study that will someday make a great Harvard case study, I reached out to Walgreens to get their thoughts on a few points. Thanks to their PR team, I was able to get responses from Michael Polzin, their VP of Corporate Communications, to my questions. Consumers are always resistant to change. After the initial disruption and assuming you eventually reach terms with Express Scripts, how will you get your consumers to return to Walgreens’ pharmacy? Is the retail pharmacy experience able to be significantly differentiated? How are you doing this today? As we’ve previously stated, we are now moving on without being part of the Express Scripts network. While we are open to any fair and competitive offer from them, we also are fine with continuing to operate our business without Express Scripts. We intend to retain patients affected by this situation over time by reaching out on both a consumer level and a business-to-business level. To date, more than 120 health plans, employers and other Express Scripts clients have informed us that they have either changed pharmacy benefit managers (PBMs) or taken steps consistent with their contracts to maintain access to Walgreens pharmacies in 2012. That represents 10 million of the 88 million Express Scripts prescriptions we filled last year. We’re also in active negotiations with many health plans and employers to provide access to Walgreens in their networks as soon as their contracts allow. In addition to those 10 million prescriptions already retained, we also expect to retain many Medicare Part D patients who previously were in an Express Scripts-managed Part D plan and moved to a different plan during last fall’s open enrollment period. We will get more detail on those numbers when CMS announces the results of the open enrollment period later this month. On the consumer level, they are very receptive to looking at options to continue using Walgreens pharmacies whenever possible. They want to retain their choice of pharmacy and are exercising that ability as best they can. For example, we’ve had great response this month with our Prescription Savings Club (PSC) promotion. The PSC offers savings on more than 8,000 brand name and all generic medications. During the month of January, you can get an annual membership in this program for just $5 ($10 for a family). We have seen more than 250,000 patients sign up for the club just since Jan. 1, and we continue to have record sign-up days. The interest we’ve seen in the club has been extraordinary. As for differentiating the retail pharmacy experience, that is exactly what we are doing through our new Well Experience store format, which has piloted so far in about 20 Chicago area stores and the entire Indianapolis market. The pharmacy, health and wellness area of these stores are truly a game changer. The pharmacist is more accessible by bringing them out from behind the pharmacy counter to a desk in front of the pharmacy. As a result, patient interactions are higher than our pharmacists have ever experienced. The format also allows for tighter integration between our Take Care Clinic nurse practitioners and pharmacists to create a real community health corner. The white papers are good summaries for the consultants. How are you taking your message to other constituents – consumers, MDs, Wall Street? Our best ambassadors to consumers are our pharmacy staffs. They are the ones with the trusted relationship with our customers and are able to have individual, face-to-face conversations with them. They’ve done a tremendous job educating our patients, and that’s why we’re seeing so much interest in the PSC and have patients finding other ways to continue using Walgreens, such as using their spouse’s coverage, if available. The same is true with physicians. Our pharmacy staff work with them every day and help them find the best options for their patients including generic alternatives that can be very competitive through the PSC card with a 90-day supply compared with the patient’s program under Express Scripts. As for Wall Street, we’ve been quite active speaking at analyst conferences, addressing the issue on our earnings conference calls and at our recent annual shareholders meeting. The analysts also have found our white papers and other SEC filings to be helpful in understanding the situation. 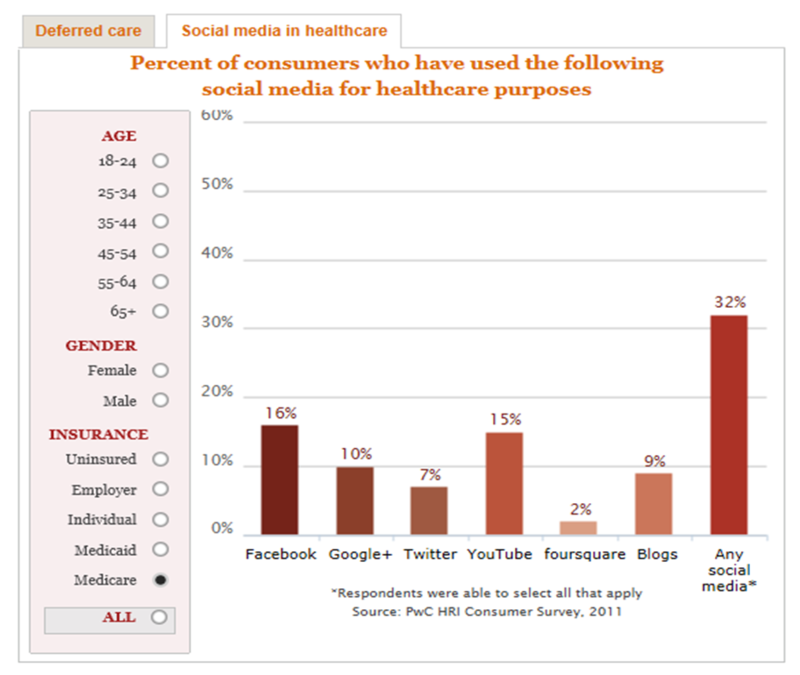 Ultimately, payers/employers care about cost. If a PBM creates savings for them thru a limited network, can you summarize what they lose by not including Walgreens and how that transfers to hard dollar savings? 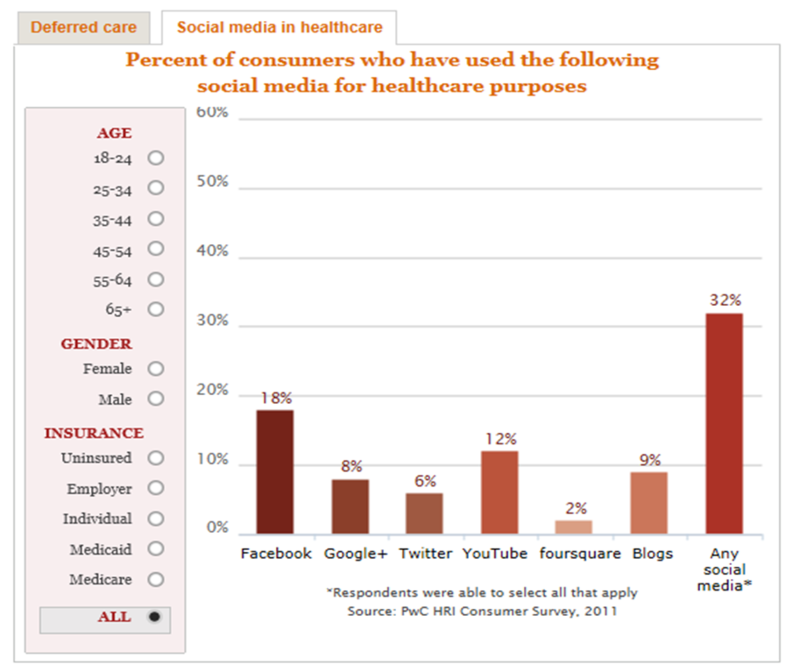 Are Walgreens consumers more engaged with their health? Are they more satisfied with their healthcare? Our research demonstrates the importance of Walgreens presence in a payers’ network in addition to the cost factor. A Walgreens proprietary survey conducted in December of 823 executives and managers who are key decision makers for pharmacy benefit decisions or provide input found that 82 percent of employers said that they would not exclude Walgreens for less than 5 percent savings on their total pharmacy spend. Sixty percent of employers would not exclude Walgreens for less than 10 percent savings, and 21 percent would not exclude Walgreens from their network regardless of the amount of savings. These findings on employer attitudes are consistent with recent research published by several leading equity research analysts. Clearly, employers value having Walgreens as a pharmacy option for their employees, but Express Scripts wants to take that choice away. Now, add to that the small variation in costs among pharmacies. We believe that the vast majority of pharmacies, including Walgreens, receive reimbursements per prescription that fall within a narrow band, typically within less than 5 percent of one another. Therefore, excluding any pharmacy with our 20 percent market share from a 5 percent pricing band can only result in savings on the order of 1 percent or less. And that doesn’t take into consideration the additional savings Walgreens can provide through our leading generic dispensing rate or the 7 percent savings that payers can see by adding a 90-day refill option at our retail pharmacies. It’s also important to point out that during negotiations, Walgreens offered to hold rates for a new contract flat and did not seek an increase in rates. The response from Express Scripts was to insist on being able to unilaterally define contract terms, such as what does and does not constitute a brand and generic drug. Express Scripts also proposed to slash Walgreens reimbursement rates to levels below the industry average cost to provide each prescription. Walgreens is focused on helping payers with their total health care spend, not just the 10-12 percent of their health care costs that are spent on prescription drugs. While a patient with asthma can lower drug spend by not getting refills on their medication, the resulting emergency room visit that could result will be much more expensive overall for the payer. So we are focused on expanding the pharmacist’s role among health care providers to lower overall medical costs rather than focusing on drug spend alone. Adherence is a big issue these days especially in Medicare where it is one of the key Star measures for PDP. One of the key value points in the paper is about adherence. 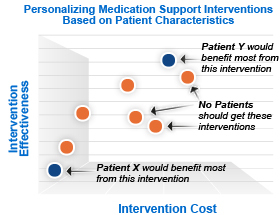 How has Walgreens improved patient adherence and are you collaborating with payers to do this? Walgreens pharmacies provide many medication adherence services, counseling and other assistance that lowers medical costs by improving outcomes. These include monthly adherence calls to inform patients about critical upcoming blood tests that are required to continue therapy; next-day home delivery for medications; assistance programs to help patients minimize risk resulting from economic circumstances that may negatively impact therapy compliance; and alerts for missed doses, at-risk patient behavior or serious adverse side effects that are communicated to a prescribing physician. We also offer 90-day supplies of medication, further promoting adherence. Walgreens pharmacists have consistently demonstrated increased adherence to chronic medicines for high-risk conditions for the populations that we serve. For example, for patients in one study who filled their statin and thyroid medications at community pharmacies and who consulted with a pharmacist, a significant improvement in first refill rates resulted (from 55.7 percent to 70.4 percent) after the adherence program was implemented. While CVS has opted to own a PBM, Walgreens has sold their PBM. Has this experience with Express Scripts changed the way you interact and contract with PBMs? Do you think this will have broader implications on the industry? I think it has helped us tremendously in terms of building closer relationships with other PBMs and payers. We’re moving forward with partners such as Catalyst Rx, Prime Therapeutics and SXC Health Solutions, and health plans such as Coventry and Humana. All of us see this as an opportunity to create a differentiated offering during the upcoming selling season. Have any PBMs stepped up to work more strategically with you to create a differentiated offering to take advantage of this disruption during the 2012 selling season? What’s next? As Walgreens looks to the future and focuses on creating new value, how are you embracing key changes in the industry around health reform and technology innovation? See question 1 and our development of the Well Experience store and pharmacy format. This is Dr. Crounse from Microsoft talking about worldwide healthcare and using technology. This is Dr. Reed Tuckson from United Healthcare talking about creating cost effective healthcare leveraging technology. I don’t know about you but given the focus on healthcare and the percentage of our GDP that it consumes I had hoped this would be higher. Eli Lilly was ranked 12th, and UnitedHealth Group was ranked 20th. As people look at ways to engage the Medicare and Medicaid populations, I continue to talk about the facts from the Pew research that shows how these demographics use technology. I was glad to see some research from PWC that also reinforced this. 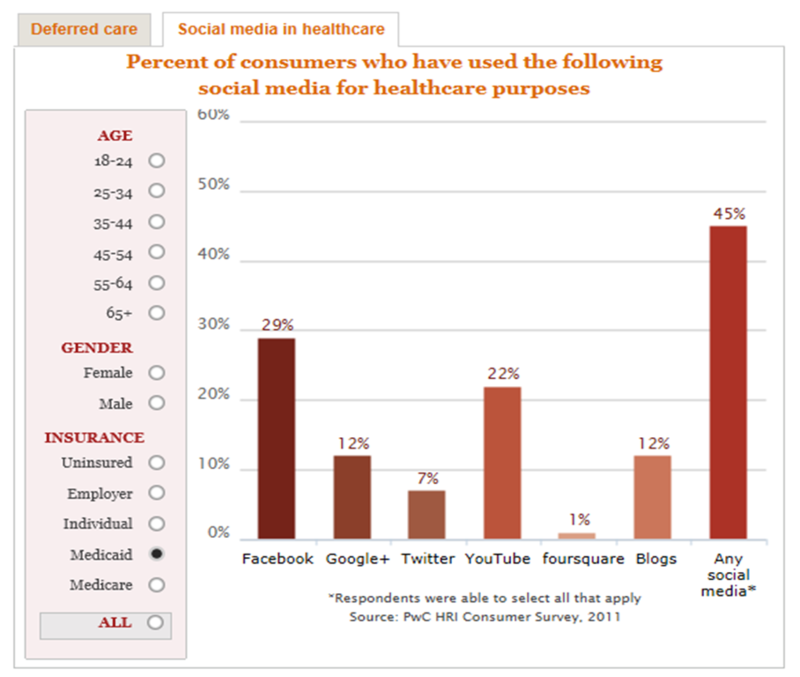 As you can see in the three charts below, the Medicare population uses technology similar to the average respondent while the Medicaid population uses social media for healthcare more. I wore a mouthguard when I played lacrosse, but I’m not sure I could see myself putting in a mouthguard for running or playing tennis or golf. Under Armour is pushing a series of mouthguards for any sport now (see brochure). But, from a purely academic perspective, it’s interesting. Nose strips to improve breathing. Dark compression socks pulled up to the knee (perhaps with no bottom to allow for barefoot running). Heart rate monitor with GPS. Googles to protect the eyes. Magnetic band for strength and balance. You get my point. All of these things offer either some type of protection and some improvement in results, but it can go too far (IMHO). Although on the flipside, the competitor inside me is anxious to try them out. I was reading an article about research into why recess is important for kids in school. I couldn’t agree more, but it got me wondering about the need for running clubs and other fitness breaks within the corporate work day. I’m pretty sure working through lunch and eating at your desk doesn’t help. On the flipside, I’m not sure if fuzzball tables and other “dotcom” activities meet the activity level. Food for thought…and of course this doesn’t account for potential hard dollar savings associated with better health and lower healthcare costs. While I certainly think the PBM market is going to evolve with increased use of generics, the Express Scripts acquisition of Medco, and the growth in specialty pharmacy, I have to disagree with Matthew Herper from Forbes and Richard Evans of Sovereign & Sector who talk about them as a short-term solution that will struggle (see point 5 in this article). I think Mark Merritt from PCMA did a nice job of talking about this when I interviewed him last year about how PBMs have continued to change and will continue to evolve over time. I also think that Per Lofberg’s comments from earlier today reflect this. There is still a lot of opportunity around specialty spend. Certainly, the market dynamics put pressure on the traditional margin areas of generics and mail order for oral solids, but these companies are here to stay and I believe valuations will stabilize even if not at the highs of 5 years ago. And, while in general specialty management has been a stagnant space for innovation over the past 5 years, I expect that to change. I think we’ll see more collaboration with manufacturers both around REMS programs and outcomes-based contracting. I think we’ll see continued evolution in the area of genetic testing and clinical support. I think we’ll see the traditional utilization management programs and formulary management programs show value with the growth of competitive products and bio-similars. I also believe that understanding how to help patients manage their condition and start to take a broader role in overall condition management will and should create PBM opportunities. After sharing my forecasts about the PBM industry for 2012, I reached out to several people to get their perspective. One person for which I have a lot of respect is Per Lofberg. Per’s now the President of CVS Caremark’s PBM and has an impressive background at companies like Medco, BCG, and Generation Health. Everyone who’s ever worked for him has nothing but great things to say. 1. 2012 is shaping up to be an exciting year in the PBM industry. Do you think this will finally be the year that limited retail networks take off? Payers are always looking for new savings opportunities, and limited retail networks provide another avenue to increase savings without compromising access or quality. I have always believed it is quite possible to service large nationwide customers with retail networks that are smaller than the large 60,000 plus networks that are so common today. The current debate in the marketplace will only draw further attention to the topic of limited retail networks, which may result in more PBM clients, including clients who have not previously considered a limited network, engaging in a dialogue about this approach. As a result, I believe that during the 2013 selling season, benefit consultants will be quite focused during the RFP process on understanding the types of savings payers can realize with smaller networks. PBMs like CVS Caremark will need to be able to address this topic clearly with our clients and prospects so they can accurately weigh the benefits and impact of narrowing their network and consider how best to manage the natural disruption factor that will occur. 2. As the generic wave passes in the next few years, how do you expect PBMs to differentiate themselves going forward? We can’t discount the importance of taking advantage of the large number of blockbuster drugs that will be going generic in the next few years. Being able to deliver strategies designed to drive generic utilization and work with clients to ensure that they appropriately move members to safe and cost-effective generic alternatives should become a best practice standard across the industry. Increasing GDRs will no longer be differentiators, but rather will be expected by clients as a basic PBM offering. As a result, during the generic tidal wave, PBMs need to sit tight, refine their standard formularies and perfect the implementation of programs that drive generic utilization. As PBMs continue to drive GDR, those that are also successful at offering clinical solutions that support adherence, effectively manage the growing costs related to specialty pharmacy and helping clients manage the intersection of pharmacy and medical benefits to reduce waste and improve health are the ones that will stand out from the competition. Now and in the future, a best in class PBM is one that can accomplish all the basics that used to define differentiation (e.g., GDR, MDR) effortlessly, while bringing value to their clients through an integrated approach to managing the patient’s pharmacy care across the entire spectrum of care. The hallmark of a best in class PBM will be one that effectively addresses access, quality and cost for their clients. Another consideration for PBMs will be around stricter formulary management strategies to counter increasing, and increasingly frequent, price hikes by pharmaceutical manufacturers. Brand manufacturers are using two basic strategies to protect their market share and we are seeing increased activity as generics erode the profitability of drug blockbusters. Unfortunately, these strategies – brand co-pay coupons and high and frequent price increases — ultimately raise costs and undermine the cost-controls used by employers and health plans to effectively manage their pharmacy spend. To help our clients manage pharmacy costs in this environment, PBMs will need to construct clinically appropriate formularies that provide our clients with options to manage sky-rocketing drug costs without compromising access or outcomes. CVS Caremark is combating price increases by pharmaceutical manufacturers by tightening what is offered on our recommended prescription formulary. As you know formularies are the list of approved drugs that an insurer or employer makes available to beneficiaries and, up until now, the formularies have been quite broad, including most FDA approved drugs, so that doctors and their patients have choice. However, physicians and pharmacists have long recognized that many drugs within a therapeutic class are essentially equivalent, and a “narrow” formulary can be comprehensive while also providing for substantial cost savings. 3. The role of the pharmacist continues to evolve with vaccines and their involvement in more patient management. Given your unique set of assets within the industry, how do you see CVS Caremark leveraging your POS resources to strengthen your focus on clinical outcomes and partner with clients? As a pharmacy innovation company, we will continue to further develop our unique clinical offerings that leverage the pharmacist interaction and intervention in order to improve the health of our PBM members and drive costs savings for our clients. Our flagship products, Maintenance Choice and Pharmacy Advisor, developed to build on the member’s relationship with their pharmacist, are gaining increasing traction in the marketplace. These programs leverage the clinical expertise and insights of our PBM business along with the broad reach and face-to-face engagement in our retail business to deliver innovative solutions that are unmatched in the marketplace today. Moving forward we will continue to build on this model by finding ways to further expand member access to these programs. For example, in 2012 we are expanding on our successful Pharmacy Advisor program, originally launched to increase adherence and close gaps in care for diabetes patients, to encompass patients with chronic cardiovascular conditions who are at risk of becoming non-adherent. We are also enhancing Maintenance Choice to make our integrated capability more broadly available to the CVS Caremark book of business and easier for members to use. In addition to enhancing our existing programs we are also continuing to innovate as a PBM by piloting new programs, including one we are piloting in 2012 that leverages pharmacist counseling to better coordinate drug treatment for patients recently discharged from hospitals in order to reduce rehospitalization rates and finding ways to fully integrate our Specialty Pharmacy business so clients and members get the full benefit of the entire CVS Caremark enterprise—PBM, CVS/pharmacy and MinuteClinic. 4. Medicare has pushed quality to the forefront with some of the new Star ratings. Additionally, some PBMs are looking at outcomes-based contracting with pharma. How do you see the marketplace engaging and leveraging pay-for-performance structures within the PBM industry? Pay-for-performance based on outcomes is an extension of the guarantees that most PBMs negotiate with their clients today. These guarantees are in place to specify a level of service that clients should expect from their PBM with regards to such activities as response time on calls to the customer care center and performance for measurements such as a minimum GDR or MDR to be achieved within a specified time period. 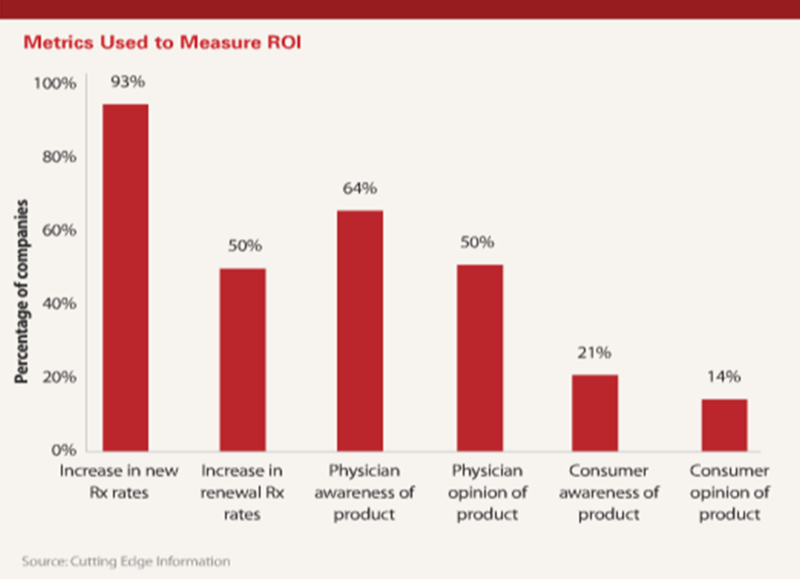 Adding in a level of clinical accountability is in line with how the PBM industry is evolving from one focused on channel/access and pure pharmacy cost savings through generics to one that encompasses health outcomes, adherence and the resulting overall health care cost savings associated with these measures. As PBMs get even better at implementing clinical programs and managing adherence across the spectrum of care, I would anticipate we will see more requests by our clients for contracts that either reward or penalize PBMs for their performance in these areas. 5. There is lots of talk about the value of carve-in versus carve-out pharmacy and the integration of medical, pharmacy, and ultimately lab data to provide improved management and identification of at-risk patients. Given your relationship with Aetna and ActiveHealth, how do you see CVS Caremark leveraging these assets even when they work in a carve-out relationship to help clients?